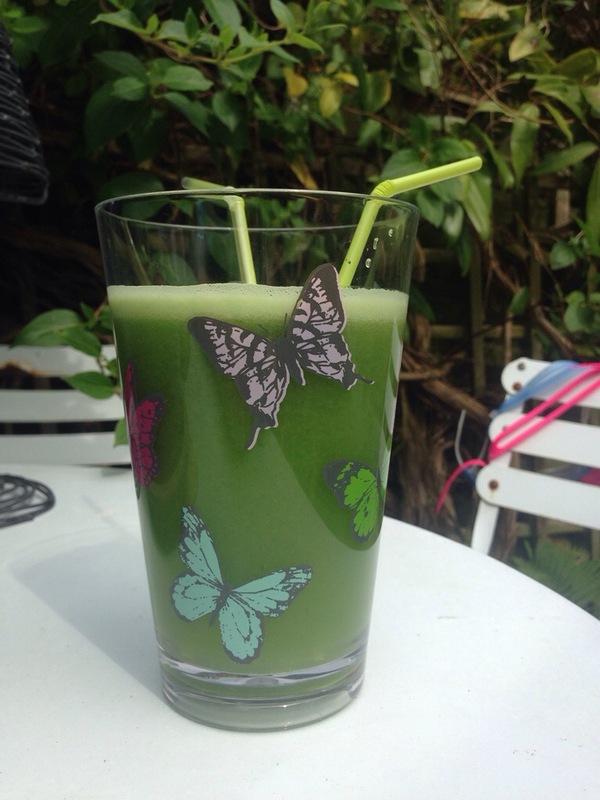 If green juice feels unpalatable first thing in the morning then why not try to have it as a mid-morning or mid-afternoon pick me up instead. Your body will welcome the nutritious, enzyme rich rocket fuel at a time when you might have been reaching for a coffee and KitKat. Make it in the morning before you head off and take it with in a resealable container to be had when you are ready. The great thing about green juice is that you can put practically any veggies you have at home in your juicer and more often than not it will come out tasty. If in doubt, add an apple or two. Contrary to popular belief it actually does not take that long to make a juice. Most modern juicers can take whole fruits and veggies without the need to peel and cut up (with the exception of lemons) and I often leave the pulp inside the machine until I have time to rinse it out – if your morning is busy just leave it until you come back. Top tip! My friend Kathie places a plastic bag in the pulp compartment to make cleaning out a bit easier.